A recognition ceremony to honor faculty and staff accomplishments will be held on Thursday, October 16, at 12:15 p.m. in the Performing Arts Center at Rockwell Hall. The event, which is being held as part of Presidential Inauguration Week activities, will recognize Buffalo State recipients of Chancellor’s and President’s awards (see list below). In addition, all new faculty and staff members will be welcomed to campus. The entire campus community is invited to participate in this third annual event. 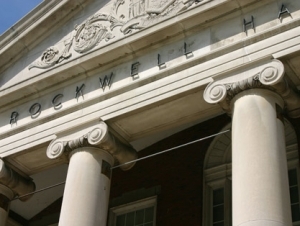 A reception will follow in the auditorium lobby of Rockwell Hall. Download the ceremony program booklet (PDF). Michele Ninacs, assistant professor of English and director of the College Writing Program (CWP), is a versatile and creative teacher whose work has had a profound effect on nearly every student at the college. She is also an active scholar who frequently presents papers and workshops, publishes articles developed from those presentations, and attends conferences in order to share her work with diverse audiences. 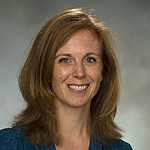 As director of the CWP, Ninacs oversees 40 faculty members and is responsible for scheduling and staffing the program; oversight of instruction, curriculum, assessment, and adherence to SUNY guidelines; transfer articulation; student petitions; interfacing with other campus entities and community members; and development of special designate sections of the program. She assists all departments with the inclusion of writing in their courses and is developing a campuswide curriculum plan to infuse writing in the majors, a sizable and critical task that she takes on with enthusiasm and good humor. Ninacs has served on several committees within the English Department and has previously served on or is currently a member of more than a dozen college committees or leadership teams, including the Community Engagement Task Force and the Anne Frank Project Planning Committee. In addition, she has broadly served the academic community by sharing best practices and initiatives with faculty from the University at Buffalo, Hilbert College, Monroe Community College, and McKinley High School. In the classroom, Ninacs excels in teaching undergraduate composition classes and graduate courses in composition studies. She eagerly mentors graduate students by advising master’s theses and writing comprehensive exam questions, and she works with undergraduate students to develop projects for the Student Research and Creativity Celebration. In short, Ninacs serves the college by continually surpassing her own performance expectations and advocating for excellence in the student experience. John Cabra, associate professor of creative studies, is a standout instructor who is committed to student learning and achievement in and out of the classroom. In addition, he has developed an international reputation as an expert in the field of creativity. In evaluating Cabra’s courses, students often note the breadth of knowledge that Cabra brings to the classroom. 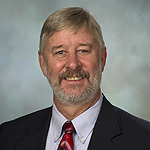 His extensive research in the field of creativity allows him to answer students’ questions with precision, foster deeper and more critical thinking about the material, and connect threads of research that students find interesting and useful. Students also appreciate Cabra’s personal experience working for Fortune 500 companies, which he draws on to connect real-world situations to the theoretical topics covered in his courses. Cabra demonstrates his commitment to student learning in many ways, from continually refining his lessons to developing new instructional methods. He frequently stays beyond class hours to continue discussions with students and encourages them to apply their knowledge outside the classroom through service-learning activities. He is a strong advocate of using creativity to bring positive change to communities. An international scholar, Cabra has authored or coauthored eight peer-reviewed articles, five book chapters, and three conference papers. Several of his works have been published in both English and Spanish. An in-demand speaker, he has presented talks on creativity in the Netherlands, Colombia, Mexico, El Salvador, Canada, Taiwan, South Korea, and Italy. Cabra’s enthusiasm for teaching about creativity—and the science behind it—has inspired many students to achieve professional success. Catherine Lange, associate professor of earth sciences and science education, has served Buffalo State since 2007 as an extraordinary teacher, outstanding colleague, consummate collaborator, and highly valued resource for students and faculty. At Buffalo State, Lange has taught a wide variety of courses, including essential teaching methods courses at both the undergraduate and graduate levels. Her unique ability to relate to students in the classroom has earned her consistently positive course evaluations. In addition, she has gained a loyal following of students who desire her tutelage as she guides them through master’s degree projects and independent study courses. During the 2013–2014 academic year alone, she served as an adviser for 29 master’s projects. 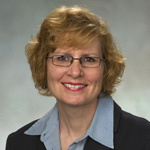 A recipient of the American Chemical Society’s Teacher of the Year Award and the University of Chicago’s Outstanding Teacher Award, Lange is a noted scholar who has contributed to the expansion of knowledge in her field by authoring 12 peer-reviewed publications, two published book reviews, 45 conference presentations, nine funded grants, and seven service-learning and collaborative partnerships. In addition, she serves on two public boards, nine professional service boards, and numerous college committees. Her tireless dedication and leadership are witnessed in her daily role as coordinator of student teachers and her major contribution to the creation of an M.S.Ed. degree in science education at Buffalo State. Lange is a devoted and effective educator of future teachers who inspires with her teaching style and caring nature. Michael MacLean, associate professor of psychology, has distinguished himself as an outstanding mentor, scholar, and educator since arriving at Buffalo State in 1997. A charismatic and popular classroom teacher, he also excels as an undergraduate research mentor, and his students have greatly benefited from his guidance. 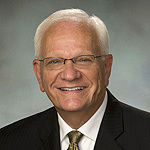 An active scholar, MacLean has written or contributed to grants totaling more than $6 million during his time at the college. MacLean views mentorship as critical to the success of students and therefore is committed to providing the highest-quality guidance. He has mentored 26 Buffalo State students and eight students from other colleges, including 21 independent studies and six honors theses. He also has mentored five undergraduate research fellows as part of the Buffalo State Undergraduate Summer Research Fellowship Program, as well as three McNair Scholars. Students speak highly of MacLean’s mentorship style, noting his willingness to help, his encouragement, and his high standards. He begins all mentorship by assisting students in developing valid and interesting research questions; he then guides them in doing the extensive work that is required to find answers. In the process, students grow and develop to the best of their abilities. If students continue to pursue research as a career, MacLean ensures that they are well prepared for graduate study. If students choose another career path, MacLean ensures that they are able to ground their work in evidence-based practice. Understanding the importance of disseminating research results, MacLean makes a point of teaching presentation skills and encouraging his students to pursue opportunities to share their work. Many of his students have presented their work on campus at the Student Research and Creativity Celebration, while more than 20 of his students have presented at international, national, or regional conferences. Two studies by his students have been published in peer-reviewed journals. Beverly MacKenzie, secretary 2 in the School of Education Dean’s Office, is widely recognized as one of the hardest working, most dedicated, and knowledgeable employees on the Buffalo State campus. She has the ability and motivation to manage the daily secretarial needs within a school that is, by itself, the size of a small college—and accomplishes her many responsibilities with unfailing kindness and a keen sense of humor. MacKenzie manages all communications for the dean’s office, which requires that she exhibit an outstanding command of detail with a warm and efficient personal style. She is as adept at managing communications with the New York State Education Department, SUNY, and other SUNY deans’ offices as she is at handling disgruntled or confused students and faculty. Regardless of their stature or status, MacKenzie treats all people with respect and courtesy. The work of the dean’s office ranges from budget management to international travel to daily requests for meetings. MacKenzie is able to successfully organize and manage these activities and more, even when time is tight, paperwork is complicated, or schedules are conflicting. Her natural ability to be flexible, listen carefully, and find and suggest solutions to challenges contributes to the smooth operation of the office. While forms and procedures demand most of her time, she never forgets the human dimension of her work. She volunteers as a coordinator for the Employee Assistance Program, a New York State assessment and referral service to promote employee wellness. And MacKenzie is an ambassador for goodwill and professionalism with faculty, staff, donors, and the public school and community members for whom she is a primary contact. 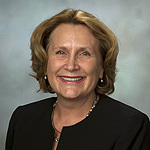 Jill Powell, senior assistant to the vice president for finance and management, uses her expertise, skills, and knowledge for the betterment of Buffalo State, its people, its reputation, and its success. Since joining Buffalo State in 2000, she has consistently and selflessly demonstrated her willingness and ability to do what is best for the college. Esteemed among her peers and highly regarded by community partners, Powell has provided guidance, direction, and leadership on numerous large-scale projects. 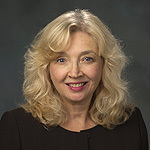 She single-handedly led the implementation and continues to manage the operation of Buffalo State’s Records Retention and Disposition program, an intricate state-mandated effort that requires SUNY-wide adherence to a set of policies and procedures governing the retention of official state records. Similarly, she took the lead on Buffalo State’s implementation of new requirements regarding broad-based fees charged on SUNY campuses. Her work on the project was so effective that a SUNY official requested permission to use Buffalo State as a model for the program. She also played a critical administrative role in coordinating the $50 million Student Apartment Complex construction project, which was completed on time and under budget. 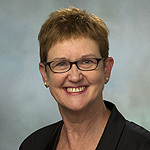 In addition to the core responsibilities of her position, which include supporting the vice president by managing administrative functions and undertaking special projects, she also serves as the college’s Freedom of Information Law (FOIL) officer and trademark licensing director, roles that carry great obligation and accountability. Colleagues most admire Powell’s willingness to help and serve people across campus at any time. Her exceptional professionalism, integrity, and respect for others demonstrate the college’s mission in action. She truly leads by example. Joseph Marren, associate professor and chair of the Communication Department, has demonstrated a tireless commitment to service at the system, campus, and departmental levels and has made countless contributions to local and national academic and professional organizations. 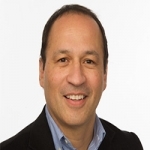 He is also dedicated to the profession of journalism, serving as program chair for the Association for Education in Journalism and Mass Communication and as a regular contributor to the Convergence newsletter and manuscript reviewer for the Newspaper Research Journal. Before becoming chair of Buffalo State’s second-largest department, Marren served as associate chair, helping shape departmental goals and achievements while gaining administrative expertise and developing relationships across campus and beyond. As chair, he provides exceptional leadership, service, and advocacy for students and faculty in a rapidly growing program. Marren has served the SUNY system as a Buffalo State representative to the SUNY Faculty Senate and a member of its executive committee, frequently traveling to meetings across the state. He regularly shares updates from these meetings with his campus colleagues and brings a systemwide perspective that enhances all deliberations. The white paper on Open SUNY that he authored and presented last year was particularly helpful in catalyzing discussion and action on Buffalo State’s online offerings and infrastructure. Marren is a great asset to Buffalo State, identifying and organizing activities, debating solutions, finding commonalities, and participating in before-work, after-work, and weekend activities that are not in his job description. His efforts result in quality educational experiences for students. Marren is collegial, congenial, and easy to work with. He listens and is willing to compromise to come up with a solution to a problem. David Henry, associate professor of elementary education and reading, has established a record of accomplishment that makes him one of the most valued faculty members at Buffalo State. A scientist and mathematician, he has a distinguished record of outstanding teaching and an innate drive and matchless ability to enrich the profession. He works tirelessly to improve the effectiveness of all teachers through professional development and study, to push teacher candidates to attain higher levels of performance through student-led research, and to seek excellence beyond the borders of Buffalo State. Henry recently took on a voluntary leadership role in Governor Cuomo’s Master Teacher Initiative, a collaboration between the governor’s office and SUNY that seeks to reward excellent teachers of math and science in New York State by providing them with high-quality professional support. In addition, he has integrated the Regents Reform Agenda into educator preparation, guided professional development of science educators, provided service to Buffalo State’s Professional Development Schools initiative, contributed to the NSF-funded Constructing Physics Understanding Project, and served as co-leader of the Western New York Physics Teachers’ Alliance. Henry’s commitment to teacher education has been unwavering. When a local school district asked for Buffalo State’s assistance in creating a STEM program, Henry helped design a program that met the needs of the district’s students and worked with teachers to ensure that the program met New York State learning standards. People continue to seek him out because he is widely trusted and deeply respected, and he will deliver on whatever task he is involved with. Leigh Duffy, lecturer of philosophy and humanities, is a superlative teacher whose dedication, skill, professionalism, and commitment to her students and to the craft of teaching go far beyond the terms of an adjunct’s contract. She excels in every aspect of teaching and mentoring, and works tirelessly to ensure that her courses, her students, and her department are the best they can possibly be. Since joining Buffalo State in 2009, Duffy has taught 17 courses, ranging from the traditional Introduction to Philosophy course to a notoriously difficult course in mathematical logic and a challenging abstract course in the philosophy of the mind. In every case, Duffy has performed exceptionally well. She recently designed and taught a course on yoga and Eastern philosophy that was a tremendous success. Additionally, she has taken every opportunity to participate in the intellectual life of the department and campus, contributing far beyond what her adjunct contract requires of her. She has assisted with the coaching the Intercollegiate Ethics Bowl team, co-taught a course on women in philosophy, and presented two papers as part of the faculty-student colloquium series. Even in a department deeply committed to teaching and filled with strong teachers, student evaluations of Duffy’s courses stand out. Course after course, her instructor and course ratings are exceptionally high. This is particularly impressive considering that she teaches general education courses that enroll a wide array of students, many of whom have no prior experience or interest in philosophy. Duffy’s peer evaluations have been equally glowing. She is recognized for being clear, fair-minded, and genuinely interested in students’ learning. In the classroom, Duffy is able to take complex, abstract ideas and convey them in more concrete terms. Many students describe Duffy as a mentor who offers honest, helpful analysis and inspires them to set and achieve academic goals. She does everything with professionalism, dedication, and a truly impressive commitment to excellence in teaching. Edward Taylor, lecturer of English, is an indispensable member of the English Department’s writing faculty. He is adored by his students for his witty, compassionate, and inspiring classroom teaching. Taylor came to Buffalo State in 2001 after serving three years as executive director of the Just Buffalo Literary Center. Taylor’s leadership experience with the local and national literary scene, combined with his impressive publication record, make him an important role model for students. His real-world knowledge of the writer’s profession and craft is essential to his effectiveness in the classroom. Students who hope to become published writers themselves look to and emulate Taylor, who is a published author of poetry, essays, and fiction. The writing major at Buffalo State has prospered in large part because of Taylor. In the past decade, he has typically taught eight courses a year, including nearly every writing course that the college offers, from Writing 101 to Creative Nonfiction. Beyond the classroom, Taylor has demonstrated a commitment that exceeds his contractual obligations as an adjunct instructor. He has participated in a Learning Community and volunteered to advise students in independent study projects. He has also taught in the Summer Bridge program for at-risk incoming freshmen and performed student writing assessments for the program. 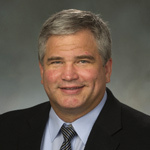 In addition, he has served on the Writing Committee since 2009, attending monthly meetings and doing the work of revising course proposals, reviewing policies, conducting assessments, and planning events. Taylor creates a consistently welcoming, relaxed, creative, and positive classroom environment. Students describe him as patient and approachable, with a calm energy that helps them realize their potential as writers. 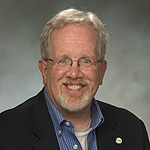 He employs a range of teaching techniques, including free-writing, small-group discussion, general discussion, lecture, and student response. These techniques keep students attentive and engaged. He has become a mentor to many aspiring writers. 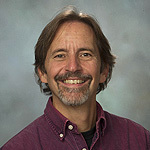 Dennis Wojtaszczyk, lecturer of English education, has been an invaluable member of the English education faculty since 2004. A master teacher whose skills are an inspiration to students, Wojtaszczyk contributes his decades of wisdom and classroom experience to strengthening the structure and intellectual direction of the program. He is celebrated as a mentor not only by students and alumni but also by his faculty colleagues. Wojtaszczyk came to Buffalo State after spending 35 years as a classroom teacher and chair of the English Department at West Seneca West Senior High School. Since joining Buffalo State, he has taught a wide range of courses, introduced a service-learning component into Methods of Teaching Language, and contributed to the revision of several other courses. He is always actively thinking of ways to improve courses to meet the needs of future educators. Not one to rest comfortably on his years of experience, Wojtaszczyk remains engaged with contemporary scholarship and theory, and he uses technology and social media to unlock student enthusiasm in the classroom. Wojtaszczyk presents an intellectually and physically dynamic class. In leading discussions, he gives every student the opportunity to speak and effortlessly steers the discussion to teaching objectives. He gets to know his students and shapes his instruction to their individual needs. In doing so, he makes a consistent and positive impact not only on Buffalo State students but also on the students they go on to instruct. A vital member of the department, he demonstrates a commitment that goes well beyond his contractual obligations as an adjunct instructor. He is a vital link between the Buffalo State education program and school administrators and teachers across Western New York. He approaches his work with boundless energy, keen curiosity, and a collaborative attitude. His respectful, positive rapport with cooperating teachers has helped Buffalo State build professional relationships throughout the region.